Sport is full of drama, most fans know this, sometimes the drama is better than any script Hollywood could produce. Although some of the greatest sporting moments in history cannot be beaten for drama, Hollywood movies do a great job of replicating the tension and emotions felt during sporting events. Here are five that exemplify many issues and eventualities in sport. This movie tells the story of Ray, a farmer from Iowa, who hears a voice that inspires him to build a baseball diamond on his land. 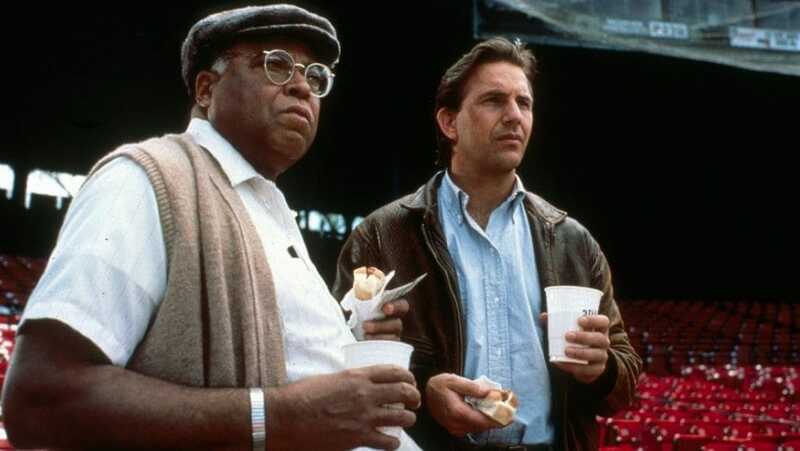 Ray’s deceased father was a devoted fan of baseball and hears a voice in his corn field tell him, “If you build it, he will come.” Ray then sees a vision of a baseball diamond. His plan is met with skepticism, and he faces both ridicule and financial ruin. Eventually, he spots a man in a baseball jersey in his field who turns out to be the ghost of deceased player, Shoeless Joe Jackson, one of his father’s idols. Shoeless Joe invited other deceased baseball legends to the diamond, and they play ball. The film will have you crying buckets by the end as Ray’s father appears and tosses the ball around with Ray for one last time. Alright, this might not be one for anybody looking for a serious film, but this film does touch on some of the stigmas that follow golf, such as elitism and social prejudices. Thankfully, many golf clubs have tried to move on from this stereotype in the following years. Caddyshack has been labeled as one of the funniest sports movies in history, and Bill Murray is in it, so you need to watch it! This ‘90s tale tells the heartwarming story Jamaica’s first ever bobsleigh team. It is a biopic of the events leading up to and including the 1988 Winter Olympics in Calgary. While some of the characters may not be true to their real-life counterparts, we all had a great time watching their adventures. From their trials as 100m sprinters to pushing a mock bobsleigh around a dusty field in Jamaica, we get to see their progression as members of the first Jamaican bobsleigh team. The team is coached by the late and great John Candy, so if you weren’t already trying to find a copy to watch, you should be now! 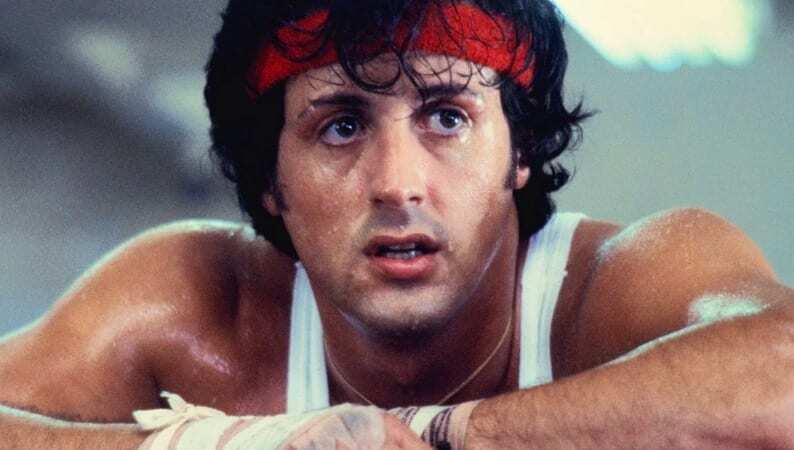 What sporting movie list would be complete without Sylvester Stallone as the ultimate underdog Rocky Balboa? An out-of-luck boxer takes on the world champion who has beaten everybody in his weight class. In what was billed as an easy victory for the champion Apollo Creed, Rocky gives as good as he gets and turns even the biggest doubters into believers in the end. The story was loved so much that it inspired countless sequels. Name a bad Denzel Washington movie, we dare you. Okay, no actor has an unblemished record, but this movie about college football is as good as sports movies get. The story follows the integration of black students to a white only school in 1971. 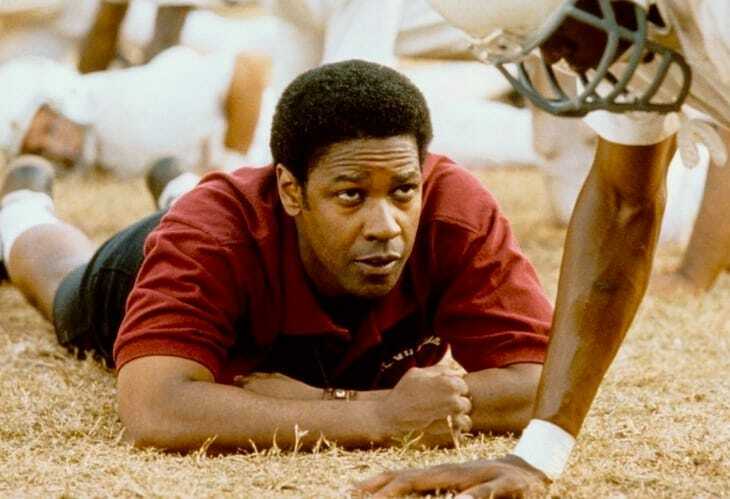 The film tackles racial prejudices and is based on the true story of the team’s coach Herman Boone, played by Denzel Washington. Sports films often contain drama to try and replicate the real-life dynamics of the sport they are depicting. It is important to remember that sport can also be hilariously funny and that’s why comedy hasn’t been left off the list. Sport can evoke feelings of nostalgia in many fans, so we think there is a good mix of the emotions experienced in these five movies.